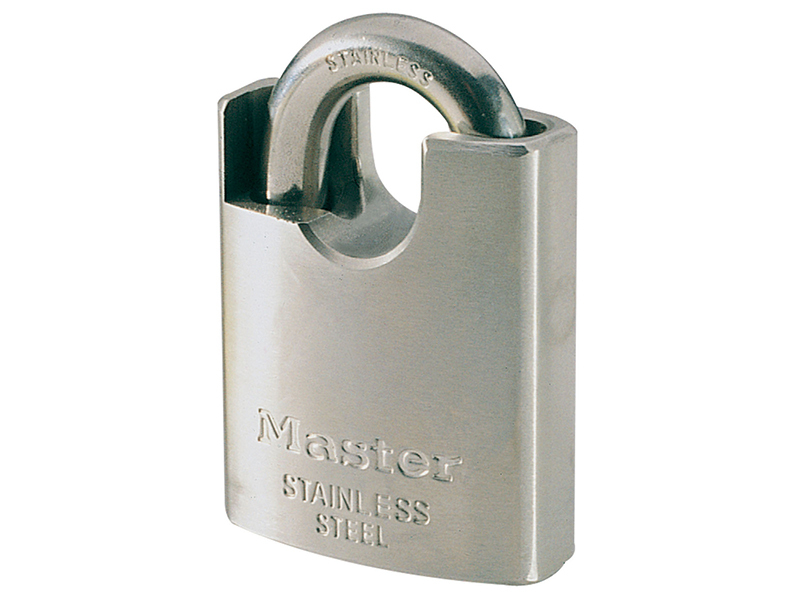 Master Lock Marine padlocks are designed to provide optimum protection in highly corrosive environments e.g. near the sea/coast where there is persistent salt spray. The shrouded shackle design offers additional protection. The padlock has a high security reversible key, and is key retaining. It has a 5-pin cylinder and is supplied with a Lifetime Warranty against mechanical failure. Suggested Uses: Marine equipment, outboard motors, tackle boxes and trunks. 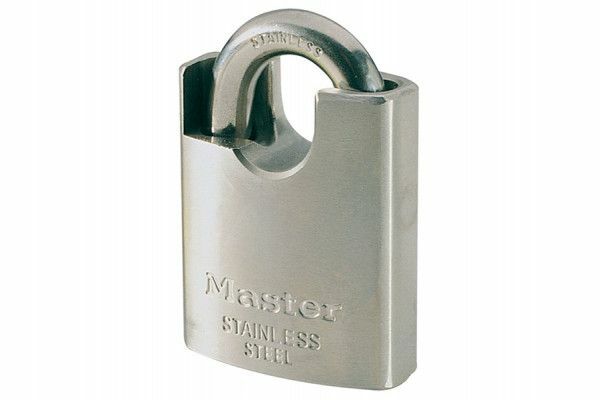 Shackle Diameter 10mm Shrouded Stainless Steel Shackle.